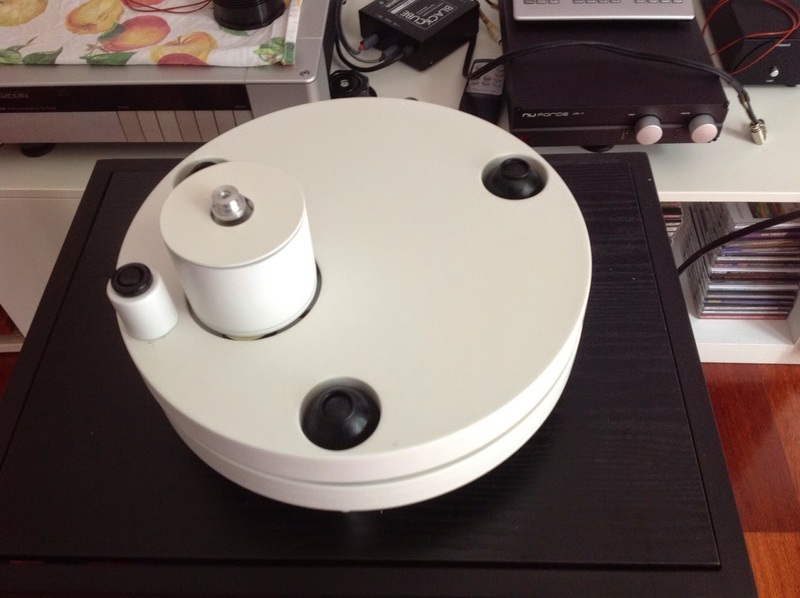 Carlo's "triad Rega/Denon/Lim - a true 'giant-killer'!" The second project concerns the old (semi-destroyed) Rega P3, equipped with an uncommon RB250 branded Acoustic Solid, that I bought for a few money on the web. I decided to "save" it, but the only solution was a total rebuilt, since the framework was really in an awful state and the motor "wandered" without control in its compartment. Being this the case, I decided to totally "rethink" the design of the record player, preserving only a value: the turntable had to be "light", as in Roy Gandy philosophy! 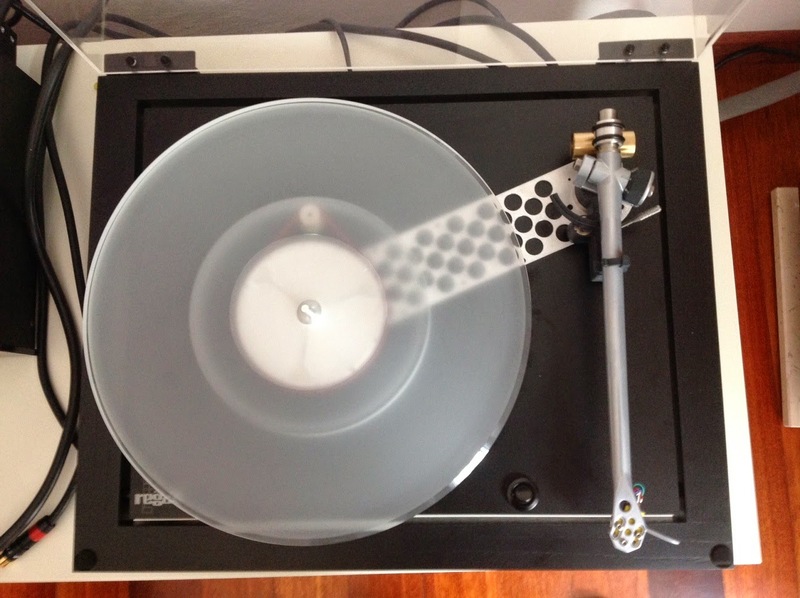 From an aesthetical point of view I took the cue from another "light" English record player. I kept the idea of having a plate/arm group built on a separated framework than the motor group, but I took this concept even further, completely decoupling the two elements, through two rubber balls that allow these two elements to lay in a totally independent way on the same base. Hereafter a picture of the motor group with the balls on which the plate/arm group stands. The project turned out right away to be “correct”, but the Denon Cartridge, once bare and covered in graphite, wasn’t able to work well with the original counterweight. Your counterweight with the added weight, on the other hand, was able to completely transform the RB250 arm. 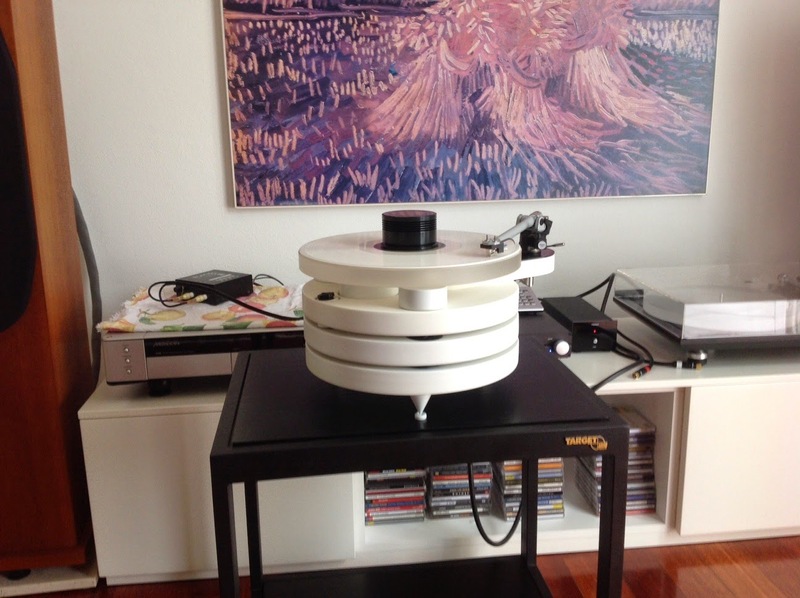 Now the triad Rega/Denon/Lim is a true “giant-killer”! The sound is powerful, defined and striking! How does it all sound to you? 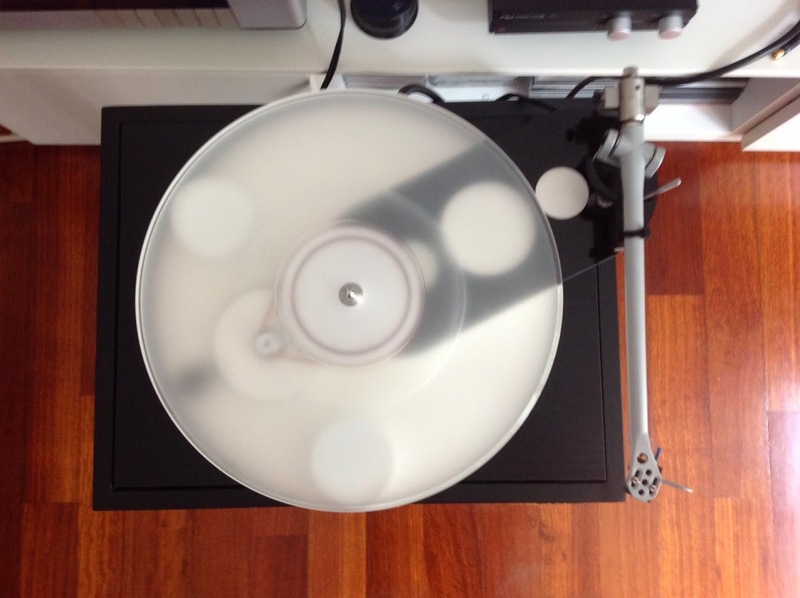 Considering it is a record player that’s worth some thousand euros. I’m not afraid to admit this! I am utterly enthusiastic about the aesthetic and sounding result of my creation. 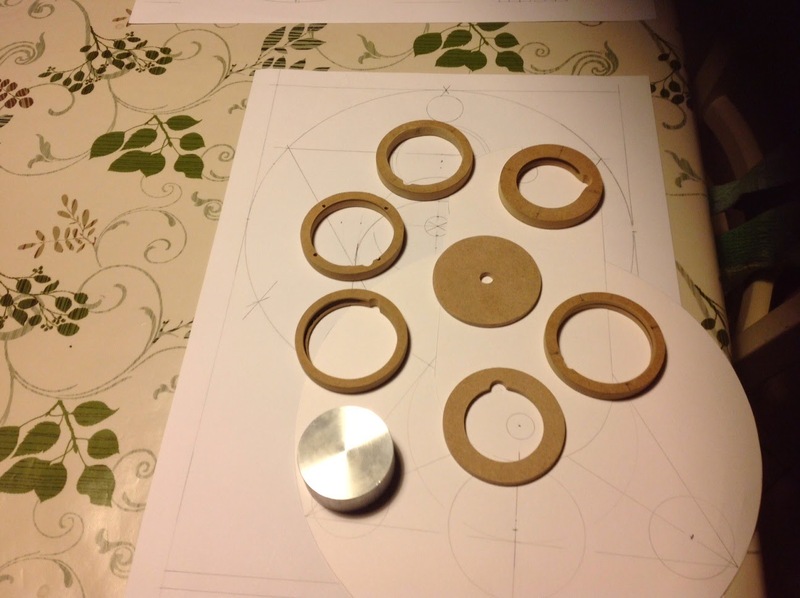 In others pics, details of the counterweight and mod cartridge. 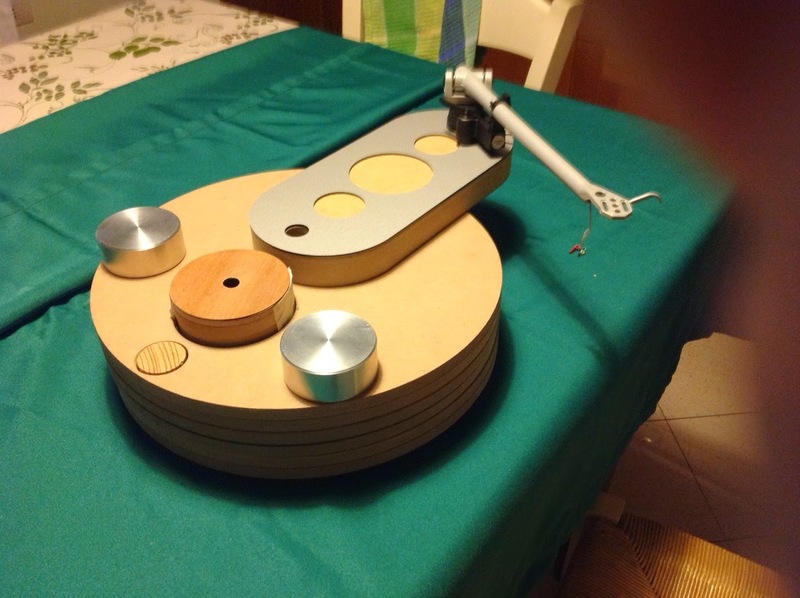 Thanks Carlo for sharing your wonderful project with us! 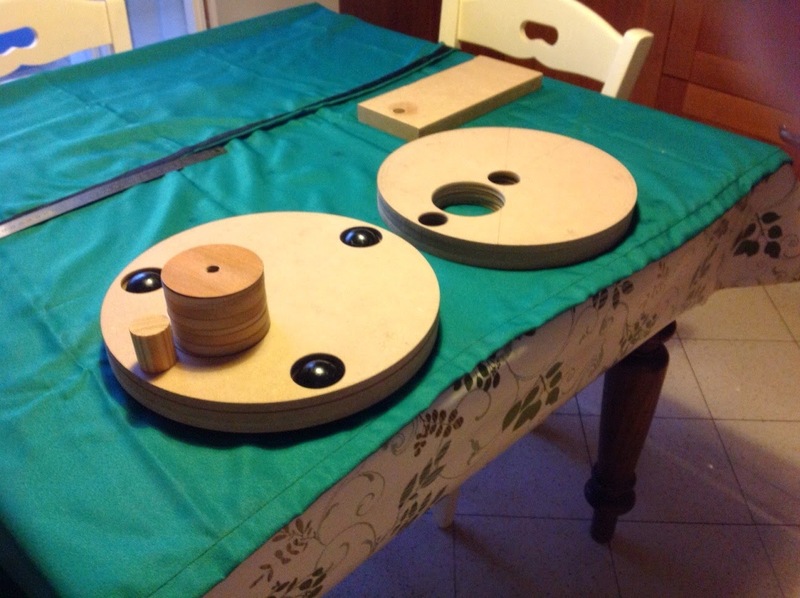 Carlo from Italy had upgraded his P25 TT with almost all my upgrade products. What's the sound improvement ? He described " "absence of listening fatigue" ! Absence of listening fatigue is important as you would wish to listen to more... truly enjoying the music to the fullest! First of all I'm sorry for the delay with which I'm sending you my feedback on your changes, but in the meantime I have changed a bit my plans and I preferred to have a clear head before writing you. I'll try to be as brief as possible. 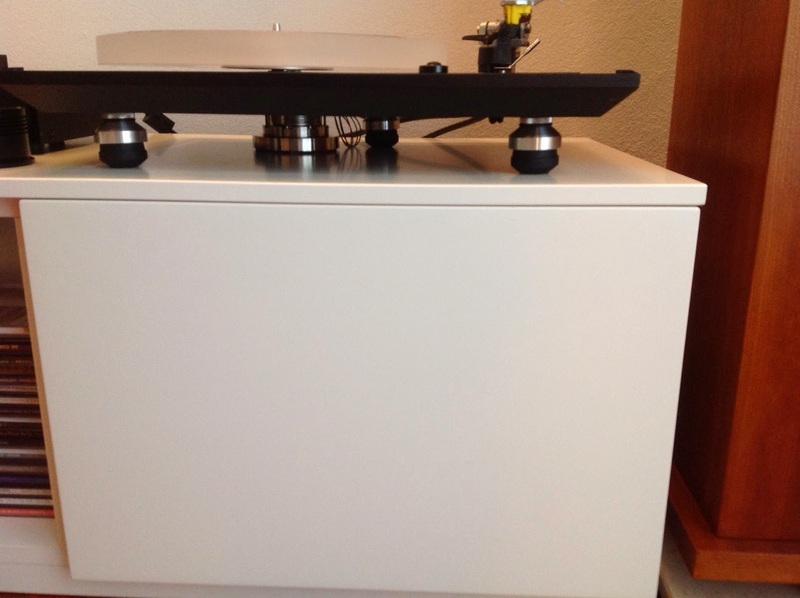 I bought "all" your upgrades and I built them in part on my main record player (P25) and in part on my self-built turntable, derived from an old P3 with a RB250 arm. I wish to thank you for your kindness and thoughtfulness, showed while I was waiting to receive the items at issue. 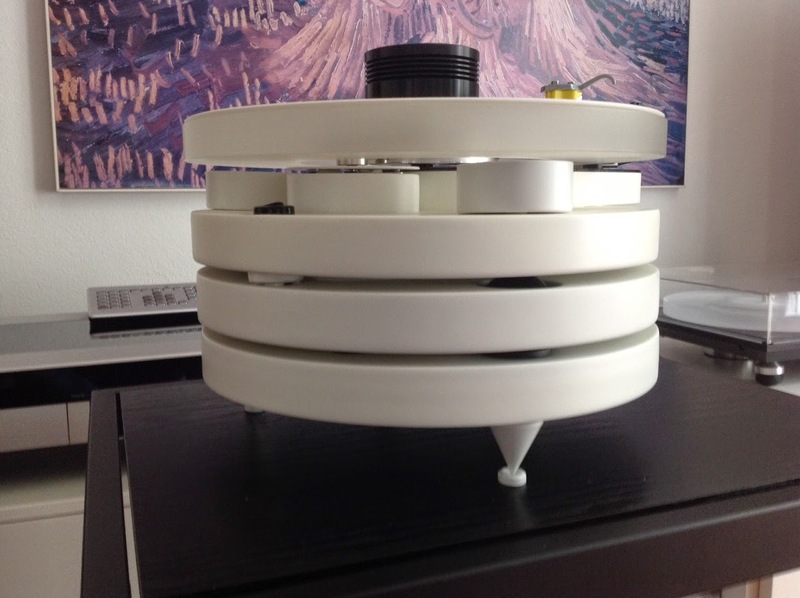 Once the upgrades had been built, the turntable became "beautiful". It looks like a higher-price one. And it's something that already puts me in a good mood. All the accessories are perfectly made and they seem "state-of-the-art" built. Really a great start Michael! 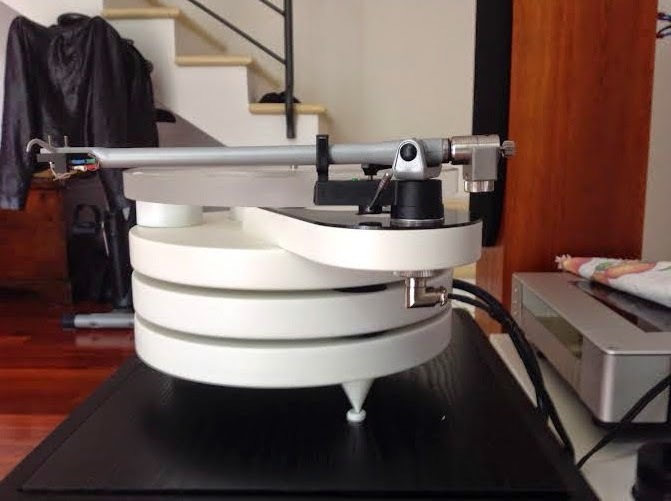 Everything fits perfectly with the Rega and the only item that requires patience is the subplatter: the tolerance is indeed low and it requires time for the subplatter to go into position. Once inserted, the subplatter requires, anyway, a couple of hours of breaking in before being able to spin really "free" and I admit that this fact has caused a little bit of worry! :-) I really don't know how to describe you all the sound improvements that I had. I have this expression in mind that could describe it all: "absence of listening fatigue"! I always thought of listening fatigue as that sensation that you feel when you are listening to a low-quality digital player, with acute "drilling" and bad defined sounds. In this case it's quite the opposite! Here, the absence of the "listening fatigue" translates into the desire to keep listening to music, without getting tired or wanting to lower the volume. The music "pours" from the loudspeakers in a "light" and natural way. The low frequencies are full, imperious but never invasive or inflated. The soundstage is perfect, deep and with a lot of "safe space" between the instruments. The highs are much bright than before, but never strident. With a few words it was what I was looking for and I would never have imagined to obtain such an improvement. I am utterly satisfied! I wanted to thank you for the brace and your kind words. I wish I had found you earlier! I would have had your acrylic platter, dual belt pulley and metal sub platter if I had known. Unfortunately it's a bit late now. Next time though. This deck was a bit of an experiment. 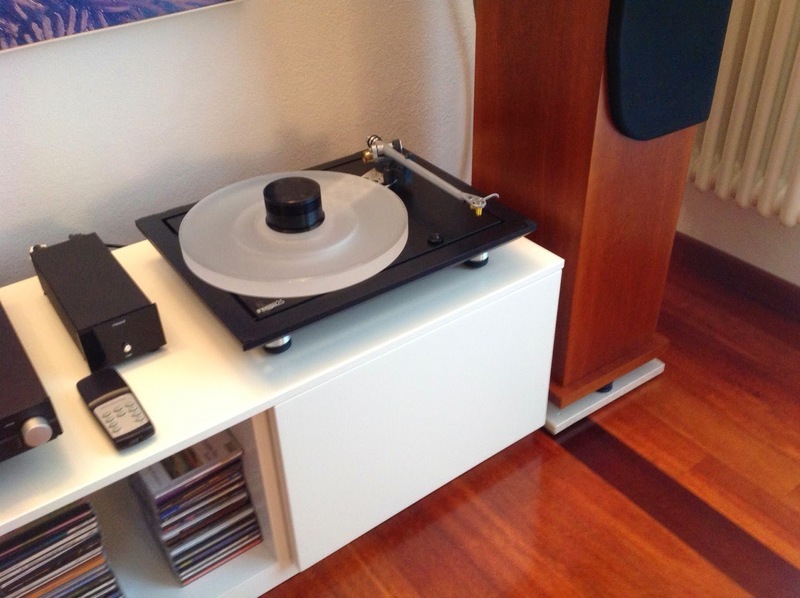 I wanted to see how a hardwood plinth would stack up against a standard rega. Initially I had thought it brought forwards a bit more body and character than say an RP3/RP6 but lacked some of the bite and pace. Initially I had put this down to the 2m Red but it seemed the same with a Lyra Lydian and Dynavector 10x4. With the brace installed it has definitely found that extra resolution that was missing before. I think it has really added to the look as well. Immediate improvement.